This is a set of three popular Christmas figures: Jolly Santa Claus, Rudolph the Reindeer and the Christmas Elf. 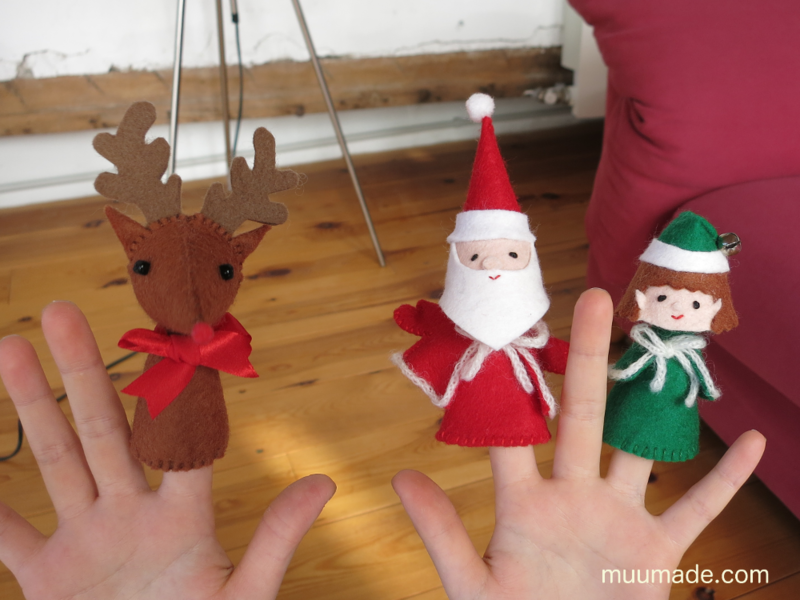 These finger puppets are a great addition to any child’s puppet collection. Even when it isn’t Christmas, you can still enjoy the Christmas spirit! 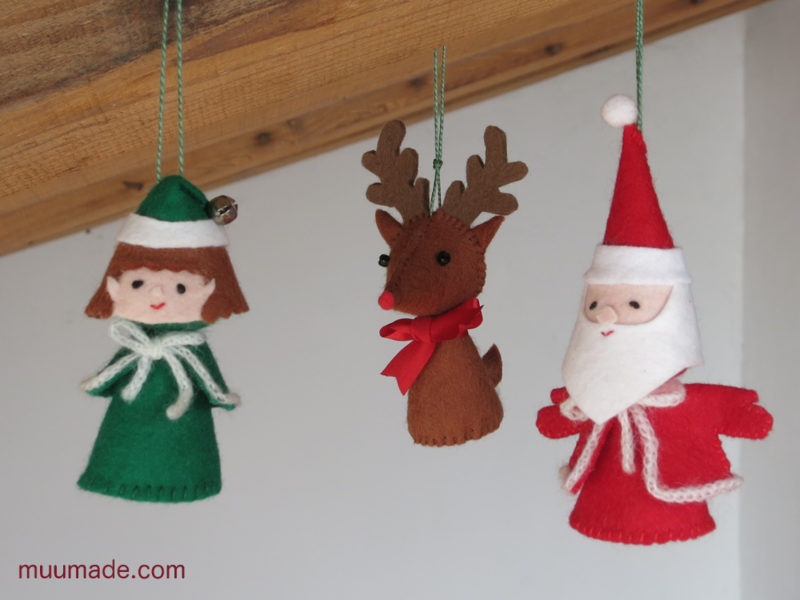 If you attach a string to the top of their heads, they then become merry ornaments! Come Christmas, they will be ready to decorate your tree. 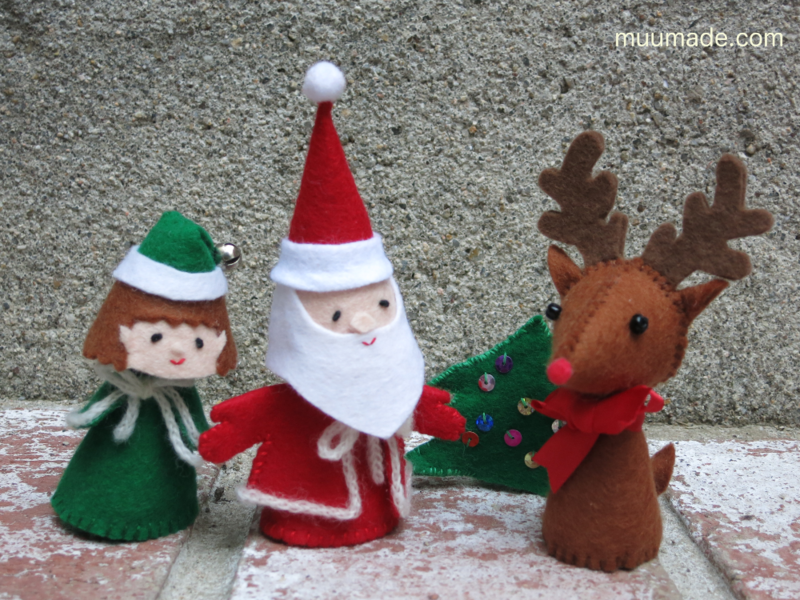 The Christmas Trio is available from my online shop, muumade.etsy.com. You can also click on any photo above to go to its item page and download the instructions instantly upon purchase. Jolly Santa Claus and Rudolph the Reindeer are also available individually.